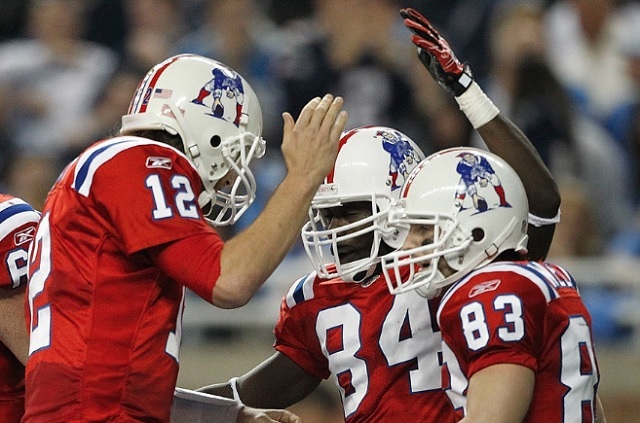 While the NFL keeps forcing its “Color Rush” uniforms on teams, players and fans, what we really want to see is throwbacks that are crisp, clean and simple. 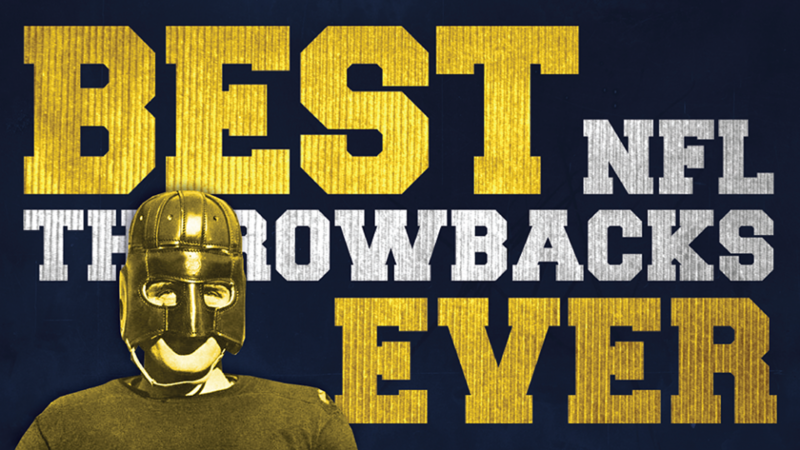 You know, back in the day before two-toned helmets, alarm clock numbers, divergent helmet stripes, hideous pant stripes and monochromatic abominations. But rather than “caca” it up, as Al Michaels recently put it, with attempts at new looks catering to trendy styles, the NFL should take inspiration from its past. The league has had some glorious uniforms throughout its history and would be best served to embrace that by implementing some of its older looks, some of which are enduring and unforgettable. Fans and players love them and don’t want to let go of what stood out as distinct and bold. 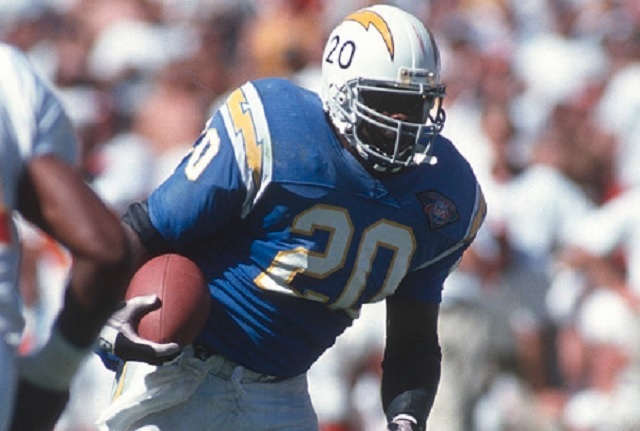 With that in mind, we count down the NFL’s Top 10 Throwback Uniforms we’d love to see return to the gridiron. The Chargers are one of the few teams to actually upgrade their uniforms in recent years, as they switched from the Navy Blue look back to Powder Blue uniforms in 2007. While the current uniforms are quite similar to what San Diego wore back in the 1960s, it’s still not quite as sharp or old-school as the helmets featuring a gray facemask and player numbers on either side, combined with more simplistic uniforms. 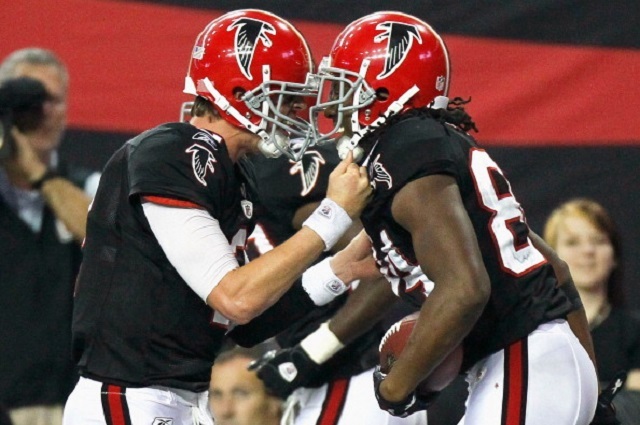 The Atlanta Falcons’ current uniforms are a lot of red, white and black run amok. We prefer how the team looked back before the 1990s, when the Falcons sported a bright red lid with a crisp black bird on it. With Atlanta’s new retractable-roof Mercedes-Benz Stadium set to open in 2017, there would be no better timing for the Falcons to hit the reset button on their uniforms. The Broncos’ current demon horse look with the goofy helmet stripe is very 1990s chic. 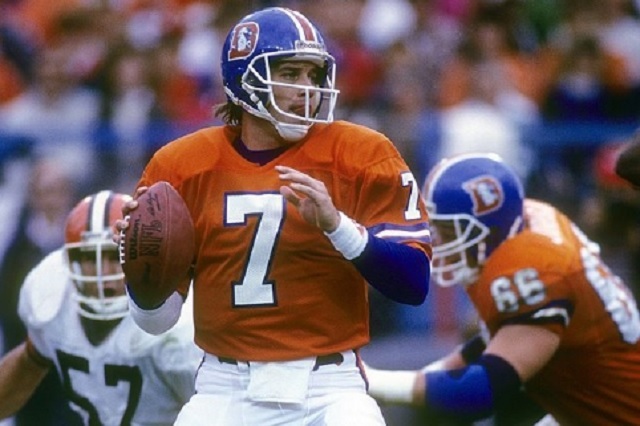 We much prefer the Broncos’ “Orange Crush” look of the 1980s with a bucking bronco bursting through the letter “D.” While Denver’s 2016 “Color Rush” uniform brings back the old logo, it’s still not the same without the old soft blue helmet. 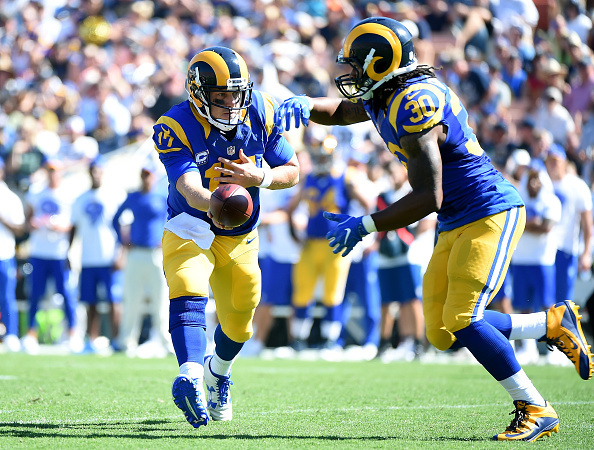 With the Rams back in Los Angeles, it’s only a matter of time until they switch from their current “Millennium Blue” and “New Century Gold” unis to the classic Royal Blue and yellow look they wore their first time around in L.A. Already making an appearance for the Rams’ 2016 home opener in the L.A. Coliseum, we hope to see these uniforms way more often in the near future. When real estate mogul Stephen Ross bought the Miami Dolphins in 2008, he couldn’t help himself from making a classic new-owner mistake: Messing up the team’s uniforms. 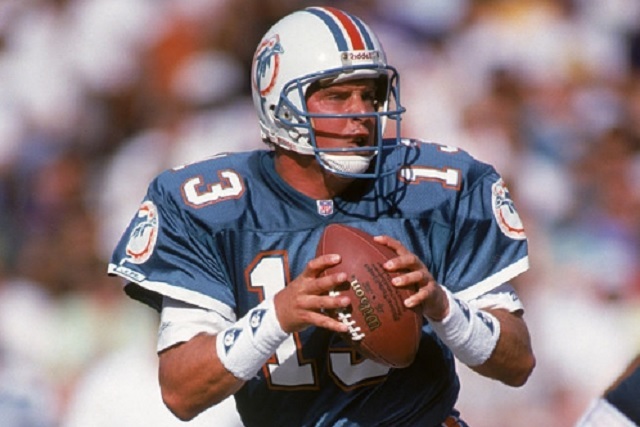 Instead of the look associated with the 1972 undefeated team, Don Shula and Dan Marino, Ross went with a new logo that looks like it belongs at the Miami Seaquarium. 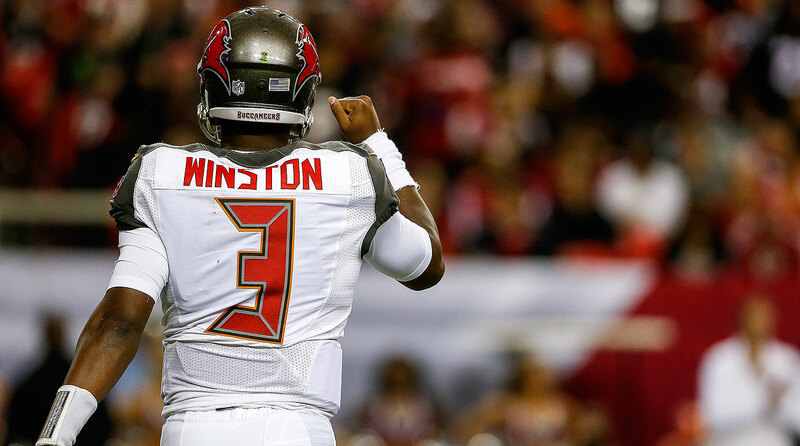 The team’s throwback uniforms won universal praise when they were worn for a 2015 game, further proving that Ross should just admit his mistake and go back to the team’s look for nearly 50 years. 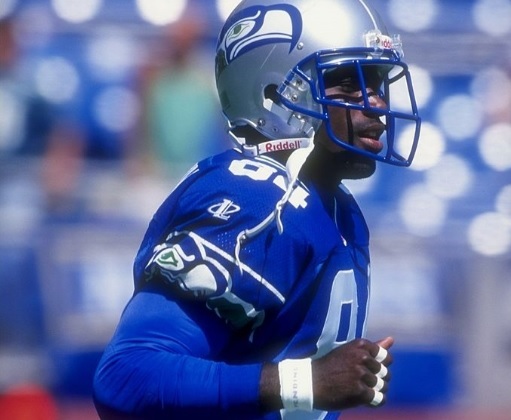 The Seahawks have become the Oregon Ducks of the NFL with all their wacky uniform experiments. Unfortunately, all this tinkering over the years has led to a monochromatic blueish-purple and lime green look and cheapened logo. We much preferred the royal blue, forest green and silver color scheme along with the Native American tribal art that inspired the original icon. And don’t even get us started on those shoulder stripes. 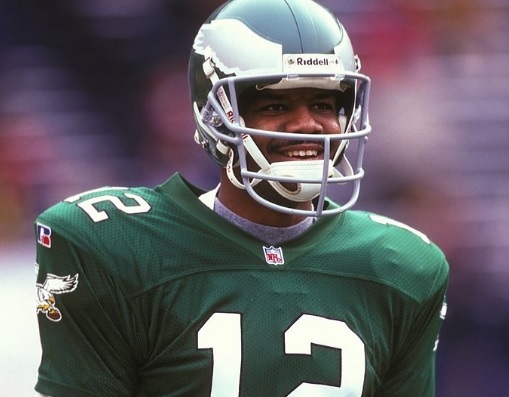 We have yet to meet a single person who prefers the Eagles’ current logo and “Midnight Green” and black combo over the old Kelly Green uniforms worn by the likes of Randall Cunningham and Reggie White. There was talk before the 2014 NFL season that Philly would be returning to its classic uniforms but it ended up being a cruel tease, as we are stuck with a logo and uniform set that just never caught on. 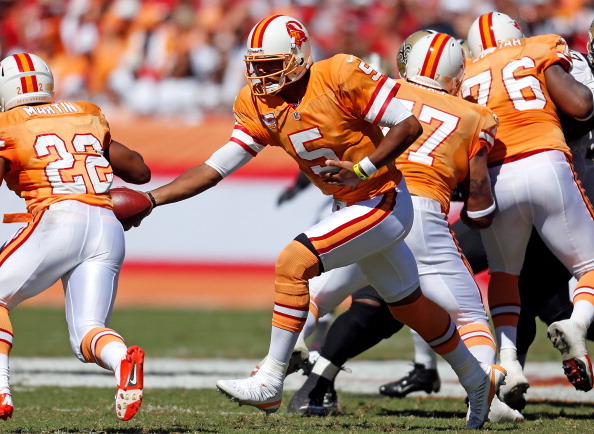 There isn’t a more polarizing throwback uniform than the Tampa Bay Buccaneers’ “Creamsicle” uniforms and accompanying “Bucco Bruce” logo that the Bucs wore for their first 20 years of existence. 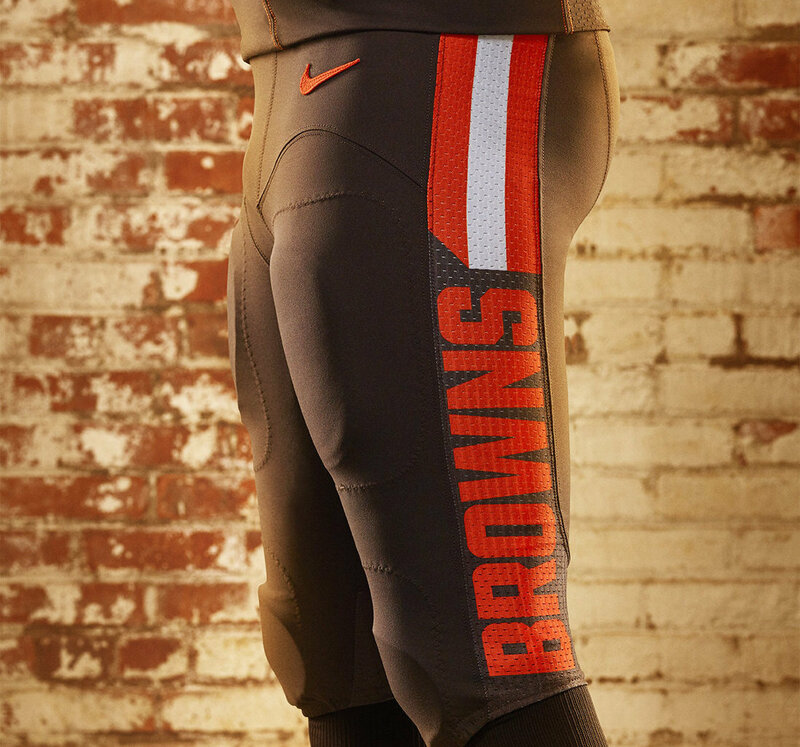 Well, we absolutely love them and still think it’s a travesty the organization made these beauties walk the plank back in 1997 for the all-pewter-everything look we’re now stuck with. While the team is now called the Tennessee Titans, this is the same franchise that was once located in Houston and nicknamed the Oilers. 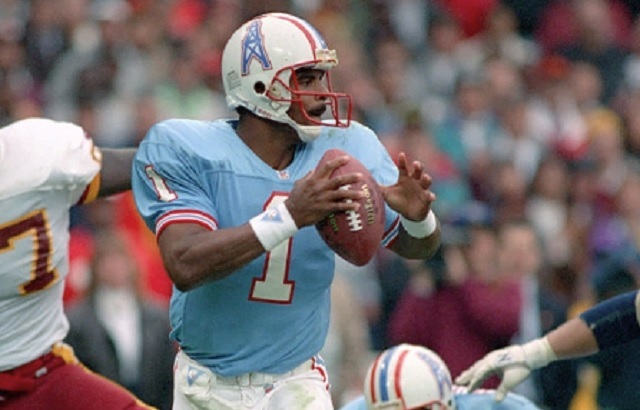 The Titans have already worn throwbacks from their Oilers days in the 1960s, we have yet to see throwbacks from the Warren Moon Era of the 1980s and 1990s. There’s just something about those Baby Blue uniforms that makes us so damn nostalgic.